I am addressing both Docetism and Gnosticism predominately because I refer to it in another article addressing I Jn. 1:9 & the believer. So I thought that rather than turning THAT study into two studies, I should write this separate article and use it to address these false doctrines. So if you read my article entitled, The Truth about 1 John 1:9 you will find that I reference THIS article in order to define these doctrines. A secondary reason for writing this article, though arguably of more importance, is because FAR from being antiquated beliefs of 2,000 yrs ago…the basics of them both are very prevalent in today’s world, inside and outside of the church (the actual body of Christ). Also, there is MUCH misunderstanding often being produced by misinformed teaching about these doctrines. 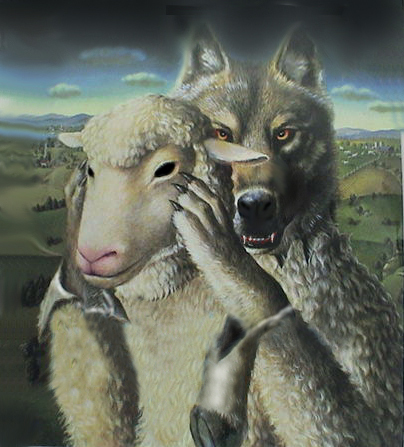 Many well known “teachers” in today’s world confuse, distort and even blend these two doctrines so much so that they barely resemble the doctrines the Apostles addressed in their day in any way. Unfortunately it appears that such misinformed teaching about these topics is NOT because clear historical details are missing or even hard to find, but because many “teachers” take pen to hand hastily and before thoroughly documenting their “facts’ which makes the rest of what they say about these doctrines immediately suspect. Gnosticism teaches that it is through the unveiling or revelation of “special” knowledge (Gnosis) that one contemplates the Divine and ascends to the Divine nature. They believe that the material world is evil, and so is its Creator. So it follows that since the Bible teaches that the world was created by God then, accordingly the Gnostics teach that God is evil. They teach that the “True God” presides over the spiritual universe while this false or evil God created and presides over the physical universe. According to Gnosticism, our souls became trapped in the evil material world and therefore we must seek the special secret knowledge (gnosis) that allows us to escape from the material world (hell) to the spiritual plain (heaven). In particular, we have to understand that the “god” traditionally worshipped as the Creator(-s) is (are) the ultimate false god(-s), and that therefore Jesus would be the very incarnation of evil. Interestingly enough it is this doctrine which many in the Grace-movement today misappropriate in the letter of 1 John. While there is some limited potential that minor tenants of the Gnostic heresy is addressed in this letter it is NOT the doctrine John is addressing in the 1st chapter. Really? People really believed this kinda garbage? Unfortunately yes they did (and some still do). Now the type of Docetism which was prevalent in the days of the epistle of I John was one in which Jesus was being portrayed as a Spirit, which came “looking like flesh”, but wasn’t. That is why John emphasizes the eternal person of Jesus along with the physical reality and nature of Jesus’ body so strongly in his opening statements. Jesus as God IN THE FLESH was the message being given. Accuse John of what you will but subtlety was not his writing style! The general idea Docetism was that anything physical is inherently distorted and wicked and therefore God could not have come in the flesh. The devil loves this particular lie, because it completely dismantles the power of the Gospel from the onset. Peter makes it clear – “Who Himself bore our sin IN HIS BODY on the tree” I Peter. 2:24. The Bible does not mince with words concerning the necessity of blood in redemption. It states that without the shedding of blood there can be NO remission of sins – Heb. 9:22 & Lev. 17:11. This requires a REAL body, with REAL bones which generate REAL blood. (1) For the law having a shadow of the good things to come, not the very image of the things, can never with the same sacrifices year by year, which they offer continually, make perfect them that draw nigh. (2) Else would they not have ceased to be offered? because the worshippers, having been once cleansed, would have had no more consciousness of sins. (3) But in those sacrifices there is a remembrance made of sins year by year. (4) For it is impossible that the blood of bulls and goats should take away sins. (7) Then said I, Lo, I am come (In the roll of the book it is written of me) To do thy will, O God. (9) then hath he said, Lo, I am come to do thy will. He taketh away the first, that he may establish the second. (10) By which will we have been sanctified through the offering of the body of Jesus Christ once for all. In fact it is the very BODY of Jesus (by means of the water and the blood) which gives testimony to the redemption of mankind. (6) This is he that came by water and blood, even Jesus Christ; not with the water only, but with the water and with the blood. (7) And it is the Spirit that beareth witness, because the Spirit is the truth. (8) For there are three who bear witness, the Spirit, and the water, and the blood: and the three agree in one. (5) Jesus answered, Verily, verily, I say unto thee, Except one be born of water and the Spirit, he cannot enter into the kingdom of God! (14) how much more shall the blood of Christ, Who through the Eternal Spirit offered Himself without blemish unto God, cleanse your conscience from dead works to serve the living God? Two things are of particular note in reference to I John in the passage above and both are in bold and highlighted. The offering of the body of Jesus as a spotless lamb sacrifice was by the immediate aid of the Holy Spirit Himself. The act of redemption included the Cleansing of the flesh! It was not God’s intention to save the spirit and destroy the flesh. It was God’s intention and in fact His finished work, to accomplish the total restoration of the whole man! We will not realize the redemption of our physical bodies until following this natural life…“And not only they, but ourselves also, which have the firstfruits of the Spirit, even we ourselves groan within ourselves, waiting for the adoption, to wit, the redemption of our body.” ~ Rom 8:23, but it was redeemed (paid for) at the same time as was our spirits and souls. To see in what ways this false doctrine of Docetism had any effect on the believers John addressed in his letter, read my article The Truth about 1 John 1:9. This is just a brief “mentioning” of the doctrines of Docetism and Gnosticism. I will return and add to the study with greater depth and additional information at a later time, so refer back to this post in the future for updates.